An Okitipupa Magistrates Court in Ondo State on Monday slammed N100,000 bail each on a tailor, bricklayer and trader who allegedly beat up two police corporals on lawful duty. The accused are Taiwo Olawole, tailor, Tunde Okunuga, bricklayer, and Seyi Okunuga, trader, aged 40, 38 and 32, respectively. The accused, whose addresses were not given, are standing trial on a four-count charge of conspiracy, assault, obstruction on lawful duty and disorderly conduct. The magistrate, Mr. Banji Ayeomoni, also ordered that each of the accused should produce a surety in like sum. The magistrate added that each surety should have evidence of a year tax payment.He adjourned the case till March 20 for substantive hearing. The prosecutor, Insp. Zedekiah Orogbemi, had told the court that the accused beat up Cpl. Segun Orimisan and Cpl. Samson Oladunwoye on Feb. 29 at 6.30p.m. on Eni Street, Okitipupa. Orogbemi said that the accused attacked the policemen while they were arresting one Seyi Okunuga for an offence. The prosecutor said that the accused also conducted themselves in a disorderly manner at the Okitipupa Police Station. 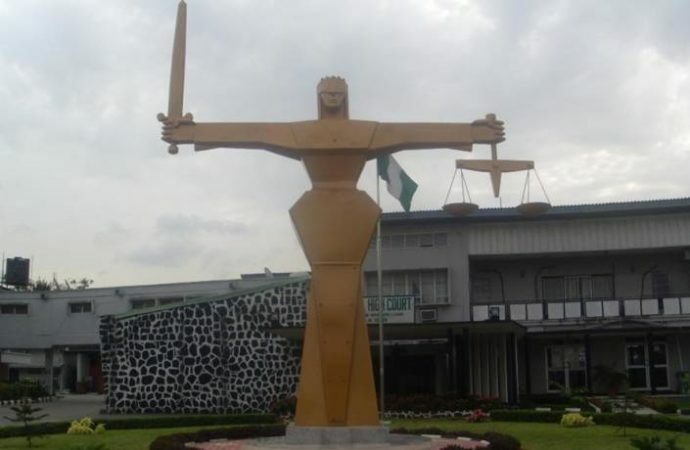 He submitted that the offences contravened and are punishable under Sections 516, 197, 358 and 249 (a) (1) of the Criminal Code, Laws of Ondo State, 2006.